How often have you said, or have heard someone around you or in your congregation say, Praise the Lord? How many times have you asked yourself what is the meaning of this phrase? We can often say words or phrases without appreciating the purpose and power of them. Praise The Lord is the joyful telling and declaring of all God has done. Praising often have some aspects of thanksgiving. “Enter his gates with thanksgiving and his courts with praise; give thanks to him and praise his name” (Psalm 100:4). Lord we bless your name and we proclaim how great you are. You are so powerful and we praise you forever. We praise you because of your unfailing love towards us. Father we bless you for calling us to be a chosen generation and a royal priesthood. We praise you Lord, because you are limitless, omniscient and omnipresent. We praise you because you said, let everything that has breath, Praise the Lord! This article aims to consider what praise meaning is, the purpose of praise and the importance of prayer of praise. You may not know how to begin prayers of praise and therefore, this prayer will help you in this spiritual discipline and encourage your own personal prayers of praise. Praise requires us to, call upon His name, declare His deeds and exalt His name “And in that day you will say: “Praise the Lord, call upon His name; Declare His deeds among the peoples, make mention that His name is exalted” (Isaiah 12:4). In Christendom, we are familiar with the different types of prayers. The prayer of faith, is where one would speak a command of faith against a situation. Jesus taught that we can have whatever we say if we have faith in God without doubting in our hearts, but rather believing that those things we say are already done (Mark 11:22-23). The prayer of petition, aka prayer of supplication is where an individual, groups or congregation come before God in total humility, requesting for what they need. We say prayer of petition to the Father Himself; “Whatever you ask the Father in My name He will give you” (John 16:23). The prayer of intercession enables us to pray on behalf of others, where interceding is a sign of ones’ relationship with God. This type of prayer places a person in the position to ask and therefore receive. “Ask, and it will be given to you; seek, and you will find; knock, and it will be opened to you” (Matthew 7:7). However, we do not always recognise or offer to God prayers of praise. The word of God is filled with these types of prayers. For example, the Psalms is often associated with prayers of praise. “I will give thanks to you, Lord, with all my heart; I will tell of all your wonderful deeds. I will be glad and rejoice in you; I will sing the praises of your name, O Most High” (Psalm 9:1-2). This showed the deep and personal relationship David had with God. The New Testament also recalls prayers of praise. In Luke 2, when Christ was born of Mary, the angels announced to the shepherds the birth of Jesus Christ. The angels and heavenly hosts gave praise to the Lord saying, “Glory to God in the highest, and on earth peace, goodwill toward men”. The word praise can be associated with exalt, glorify, magnify, confess and giving of thanks. When we praise the Lord, we are recognising, appreciating and giving awe to His splendour. We often see examples of praise in the book of Psalms (Psalm 8:1) and in hymns (How Great Thou Art) and as such we can praise God individually and corporately in this fashion. Even the angels of heaven and the moon, sun and stars praise God. “Praise the Lord from the heavens; Praise Him in the heights! Praise Him, all His angels; Praise Him, all His hosts! Praise Him, sun and moon; Praise Him, all you stars of light! Praise Him, you heavens of heavens, And you waters above the heavens” (Psalm 148:1-4). We can say prayer of praise to other things or relationships. For example, we can give praise to our children for a job well done. Praise requires nothing sacrificial from us because it is simply acknowledging the acts of another. Therefore, we say praise without any real connection to the one in whom we praise. Isaiah 29:13 states; “Therefore, the Lord said; “Inasmuch as these people draw near with their mouths and honor Me with their lips, but have removed their hearts far from Me”. However, we must praise God with all sincerity, because He is indeed worthy of all the glory, honour and praise. Whilst the word of God commands us to praise the Lord, the truth is our daily challenges and life struggles cause us to focus on our difficulties, thus crowding out our genuine praise to God. When you offer prayers of praise to the Lord, His power manifests in your life; miracles begin to happen. When you praise God, you become closer to His presence. Hearts transform when you are genuine about your praise to the Lord, who is indeed the Creator of heaven and earth. 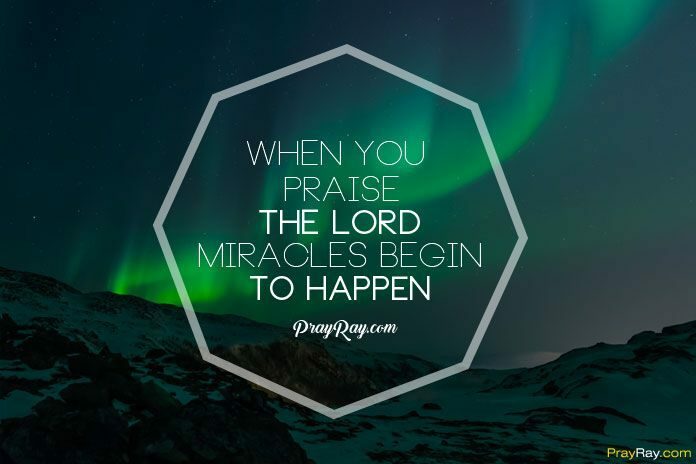 Praise the Lord at the all times! Praise the Lord everybody! Persistent prayers of praise break through strongholds of satanic kingdoms. For example, in 2 Chronicles 20, Jehoshaphat was up against mighty armies (Moab, Ammon and Ammonites), and through the word that came to Jahaziel (the son of Zechariah, the son of Benaiah) through the Holy Spirit, Jehoshaphat appointed those who should sing to the Lord, and who should praise the beauty of holiness, as they went out before the army and were saying “Praise the Lord, for His mercy endures forever” (2 Chronicles 20:21). Your prayers of praise are important because, praise will set ambushes against your enemies (2 Chronicles 20:22). Being able to understand the purpose and power of praising the Lord, will enable you to grow effectively in your praise onto God. Knowing the praise meaning, the purpose and importance of praise and prayers of praise will enable you develop a deeper and intimate relationship with God, as well as achieve a greater level of self-discipline by the application of these key principles.